On November 29, sumo grand champion (yokozuna) Harumafuji, from Mongolia, retired as a result of a scandal in which he is alleged to have assaulted Takanoiwa, a lower-ranked wrestler who is also from Mongolia. Japan’s national papers discussed this scandal in their editorials on November 30 or December 1, taking a strongly critical tone and declaring Harumafuji’s retirement was “only natural.” At the same time, the papers also pointed out the confusion caused by the truth remaining unclear, and the lack of governance by the Japan Sumo Association demonstrated by repeated violent incidents. The last time a yokozuna retired as a result of scandal was Asashoryu in 2010, which was also over a violent incident. Commenting on Harumafuji’s retirement due to an assault, papers strongly criticized the assault, and stated that it was only natural that the former yokozuna retire: “This assault was carried out by a yokozuna, who should be an example for all wrestlers to follow, and so retirement is to be expected” (Mainichi), “It can be said that retirement was the only way to take responsibility for this” (Yomiuri), “Choosing to retire was the proper decision. However, this cannot be allowed to be used to put an end to the issue” (Nikkei). 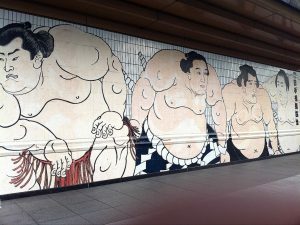 The alleged assault took place on the evening of October 25 during a drinking party in Tottori City, but with the truth of the matter still unclear over two weeks after it came to light, the papers all criticized the response by the Sumo Association. The Asahi noted that, even considering the involvement of a police investigation, “Steps to clarify the situation have been extraordinarily slow,” and argued one reason was that Takanohana, the stablemaster of the stable which Takanoiwa belongs to, was refusing the Sumo Association’s request for an explanation. The paper stated, “It is hard to understand why he would do this…. The Sumo Association is not responding to this ‘rebellion’ by Takanohana, making this an undeniably serious situation.” The Sankei also stressed, regarding Takanohana’s refusal to assist in the investigation, “This situation demonstrates the lack of governance and awareness of its own involvement by the Sumo Association.” The Mainichi stated, “His refusal to cooperate is incomprehensible,” and questioned Takanohana’s actions considering his position as a JSA director and head of regional tours. The Sankei, stating that the reason this incident is not being solved smoothly is because “the association’s governance is incomplete, allowing members to do whatever they want,” declared, “The current Japan Sumo Association is not fulfilling even the minimum of its responsibilities as a Public Interest Incorporated Foundation.” The Nikkei mentioned the 2007 incident in which a stablemaster had one of the wrestlers in his stable beat to death, and the 2010 incident of yokozuna Asashoryu drunkenly attacking a man, stating, “Looking at the scandals caused by the yokozuna, it must be said that the Sumo Association has been ineffective in preventing a reoccurrence.” The paper called for improving countermeasures, such as increasing the availability of existing reporting methods and training inspections. *English translations of The Yomiuri is from The Japan News, respectively. Those for The Asahi, The Mainichi, The Nikkei and The Sankei are provisional. The content of this page was made by the Foreign Press Center Japan and does not reflect the opinion of the Japanese Government or any other organization.